The Yankees missed Stephen Drew so damn much. They missed being with him. They missed being near him. They missed his laugh! They missed his scent. They missed his musk… When this off-season finally got sorted out, they thought the two of them should get an apartment together. OK, all Anchorman quotes aside, the Yankees did get their apartment with Stephen Drew, as it was announced late last night that they had brought the veteran infielder back into the fold with a one year, $5 Million deal. Let’s examine the signing and see how Jobu feels about it. OK first of all, for those of you that blocked out the second half (or more) of the 2014 season for the Yankees, they traded for Drew at the deadline last year, making a rare deal with the Boston Red Sox. In the deal, Drew came to the Bronx, and cash and Kelly Johnson went to Boston. Drew had hit .176/.255/.328 in 39 games with Boston after not playing basically the entire first half due to no one wanting to sign him (draft pick compensation would have been involved), and he actually got worse in the Bronx, hitting .150/.219/.271 in 46 games the rest of the way. Blergh. He did manage to crack 3 homers for the Yankees, so there was that. After the season ended, Drew and the team seemingly went their separate ways. The Yankees were involved in a flurry of trades and signings last month that garnered them a new Shortstop in Didi Gregorius and seemingly a new Second Baseman in either Jose Pirela – a rookie who made his MLB debut last season – or Rob Refsnyder – a kid who rocketed through AA and AAA in 2014 and is knocking on the door of the MLB roster. Not so fast, kiddies. Rather than throw 2B completely into the hands of two relative unknowns, the Yankees decided to throw a little bit of money at a proven veteran, albeit one coming off of an absolutely dreadful season, and I actually think this is a good move. If they had given Drew two years, or anything over the $5 Million that they gave him (up to a still very affordable $7 Million with added incentives), I’d be taking a big old nasty dump all over this deal. By picking Drew up for only one season, and for a throwaway amount of scratch (that’s Chris Capuano money, for God’s sake! ), Drew is not blocking the Yankees prospects, or stealing their jobs. What he is doing is giving the kids more time to establish themselves as Major League threats. What if Refsnyder isn’t ready to face MLB pitching, or play MLB caliber defense yet? I think Pirela is MLB ready, but is he every day MLB ready? I don’t know. 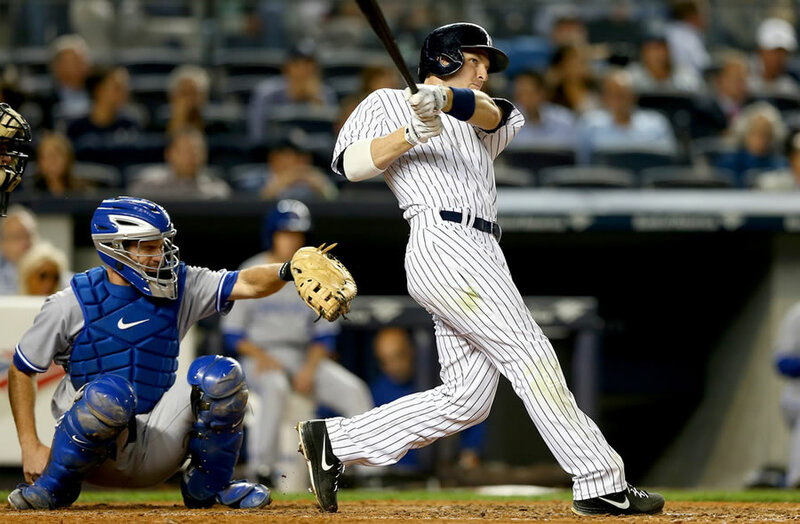 Drew is an established veteran that the Yankees can plug into their lineup temporarily. You have to assume he’ll improve on his awful 2014, (he hit .253/.333/.453 with 13 homers in 2013, after all) and he is a better defensively right now than Pirela or Refsnyder are reputed to be. If Refsnyder goes to AAA to start the season, as it seems likely he will do now, and hits .330, the Yankees are going to call him up. They’re not going to sit around with a .200 hitting Drew if he stinks again. You can make the case that that’s exactly what they did with Brian Roberts last year, but the AAA Second Base picture was a lot murkier in the first half of 2014 than it will be early in 2015. I think the real move the Yankees should make here is to designate Brendan Ryan for assignment. Ryan is basically a backup SS or 2B and nothing else. He hits like he’s swinging a pool noodle, and his once stellar defense has taken a bit of a hit the last couple of seasons. The Yankees could jettison him and use Pirela as the Utility Man, which would put a little more punch on their bench. Refsnyder could then be called up if Drew falters, or even if Gregorius falters, because Drew is a lifelong Shortstop. There’s no need to have Ryan on the team anymore. Anyway, I know some people will crap on this move because it goes against the “Youth Movement” the Yankees have been seemingly embarking on, but does it really? They’re not blocking the young infielders in their systems right now. They’re just giving their kids a little more time to mature, and a nice role model to look up to for a couple of months. This is similar to what the Yankees did in 2005 with Tony Womack. They had a good prospect in AAA named Robinson Cano whom they weren’t sure was quite ready for prime time yet. They signed Womack to play 2B, and, when Cano hit .333 in the minors and Womack stunk up the joint so badly you would have thought he was carrying sulfur in his pockets, Cano was called up on May 3 and never relinquished the position until he left for Seattle after 2013. We’ll see both Pirela and Refsnyder in the Bronx at some point in 2015. I’m fairly convinced of that. Even if Drew starts at 2B all year, and we don’t ever get to see Refsnyder, the kid can always take the reigns from him in 2016. Now, ask me this again if we’re in June, Drew is hitting .175 and the Yankees still haven’t made any moves, and I may have another answer. For now, I like this signing. I’d also like to point out that I called this, and even called the money involved, back in October. I never said I wasn’t a genius.